Literary Mystery Highlights an Heirloom Painting on Long Island Sound and the Relationships between Three Generations of Women Part “who-done-it” and part family drama, this award-winning novel reveals that neither people nor paintings are always what they appear to be. 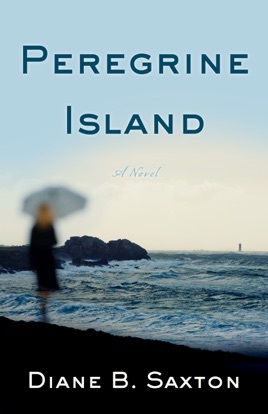 Lush with sensory details, this psychologically complex mystery novel is set on a private island in the middle of Long Island Sound. It begins when the family’s lives are turned upside-down one summer by so-called art experts, who appear on the doorstep of their isolated home to appraise a favorite heirloom painting. When incriminating papers along with two other paintings are discovered behind the painting in question, the appraisal turns into a full-fledged investigation and detectives are called into the case—but not by the family whose members grow increasingly antagonistic toward one another. The Peregrine family's lives are turned upside down one summer when so-called "art experts" appear on the doorstep of their Connecticut island home to appraise a favorite heirloom painting. When incriminating papers, as well as other paintings, are discovered behind the art work in question, the appraisal turns into a full-fledged investigation. Antagonism mounts between grandmother, mother, and child, who begin to suspect one another, as well as the shady newcomers in their midst, of foul play. As the summer progresses and the Peregrines discover facts about their past in the course of the investigation, they learn that people―including them―are not always who they appear to be.